Teachers at a preschool in Berkey, Ohio, realized it was time for a change when two children walked away from the sandbox in tears following an argument. 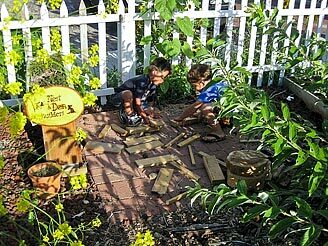 Believing nature holds the key to child development, they incorporated nature on a broad scale into Growing Minds Preschool by creating a Nature Explore Outdoor Classroom. It was the discovery of earthworms that helped transform their world. Remembering how the children loved finding earthworms in the soil, the teachers understood that children eagerly connect with nature. Four of the teachers have now attended Nature Explore Workshops to master fundamental research-based, field-tested teaching principles. They then removed all plastic, man-made items and let nature reign. 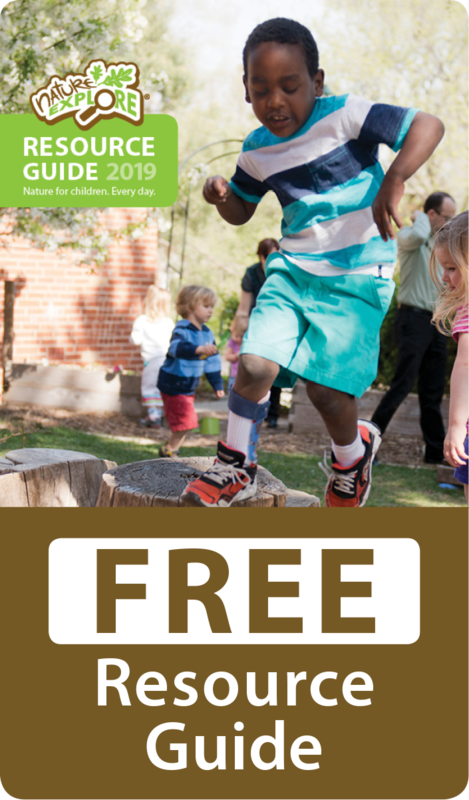 In the resulting Outdoor Classroom, a dry creek separates space for children to develop large-motor skills in the Outdoor Classroom’s open area from other functions. Gardens, rocks and large logs define other area margins. Children are always visible to the teachers in the carefully designed space. Creative names express each space’s use. In the Nest & Den Builders area, children can compose constructions from natural elements like blocks and cross-sections of trees. Whimsical artwork flows from the children in the Crafty Fox section. And in Windy Whispers, children discover the sounds that come from natural objects as they play musical instruments made of wood. Large, flat rocks serve as benches throughout the Outdoor Classroom and as tables for children to make artwork. Relying again upon nature’s gifts, the classroom’s designers chose cedar for garden planters and storage boxes. The children’s natural fascination with other creatures prompted the school’s owner to add a bird-watching area where the children also raise ducks. The worm compost satisfies their innate love of earthworms, and a weather station is a useful tool for improving observation skills. The regional materials found throughout the space reflect Berkey’s broader habitat. Signs with both written names and pictures help the children understand what goes on in various spaces while enhancing their verbal and literary skills. Like nature, each area flows artlessly into the next, with native plants and wild flowers woven into the design. These living plants serve to divide one area from another even as they unite all areas into one large classroom. And the Outdoor Classroom’s winding path erases any sense of rigid or artificial boundaries as it leads the children into new discoveries every day.